In the heart of Yorkville, the Residences of No. 8 Sultan is Toronto’s best kept secret. This executive building is 9 storeys, with only 25 suites. Located directly across the street from the Windsor Arms Hotel, this is where Yorkville and the luxury designer shopping of Bloor Street meet. Suites rarely come available in this elegant boutique condo. Suites have private balconies, custom kitchen cabinetry, hardwood flooring, granite kitchen countertops, multiple gas fireplaces, 9’ ceilings, top of the line appliances, and more. Live in private luxury, just steps away to the finest shopping and dining in Yorkville. 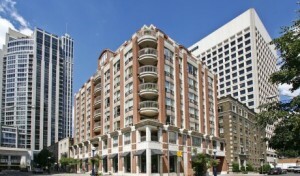 >> Click here to contact me, if you are interested in this building or any other Toronto condo or loft development.